Cell phone clip footage from the Mantswe a Marabi show. 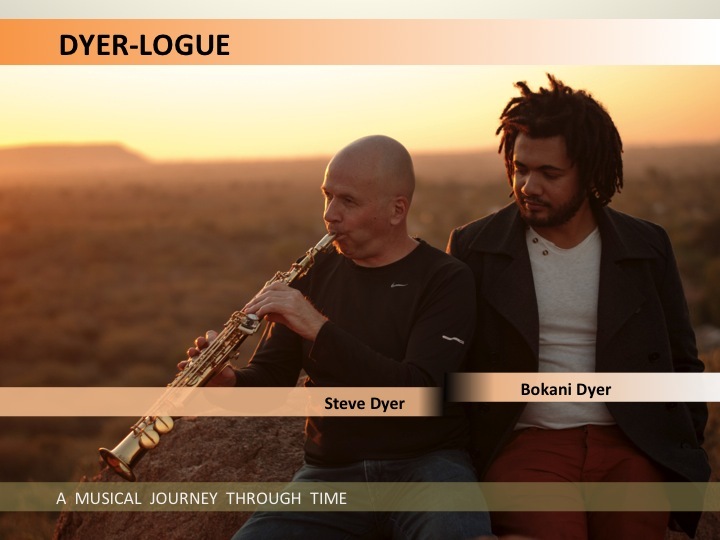 DYER-LOGUE is a collaboration between Steve Dyer and Bokani Dyer. Sometimes performed as a duet, sometimes with other musicians. 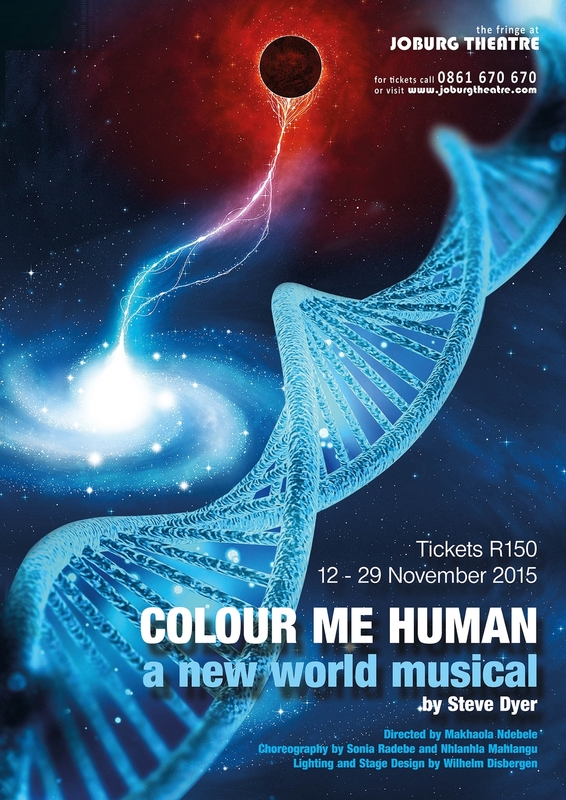 Colour Me Human - a new world musical premiered at the Soweto theatre in May 2015 for 12 performances and did another run at the Joburg theatre in November 2015. Critics comments: Emotionally charged - Diane de Beer, the Star; Hauntingly beautiful - Peter Feldman, 24 hours; One of the best theatre experiences I've had this year (2015) - Walter Pike, media analyst; Spectacular!! - well deserved standing ovation - Lawrence Mashiyane blogs; LOVED IT: It is powerful, creative, innovative and fresh - Dawn Lindberg, executive director, Naledi awards. A soundscape of diverse influence to mirror how societies are evolving, and how different cultures, belief systems and peoples have increasingly greater interaction with each other. At the core is the sound reflection of the journey through my homeland South Africa, and the influences both personal and otherwise that are shaping this journey. 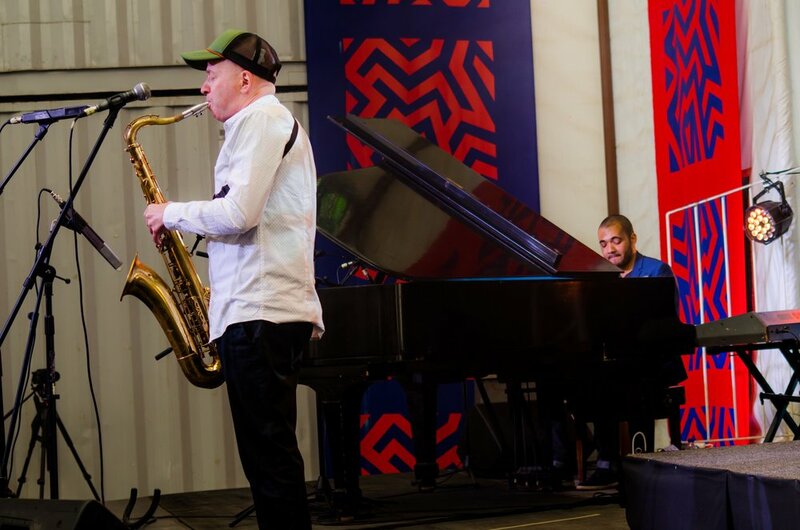 Confluence was launched at the Orbit jazz club in Johannesburg in August 2015. The music is available online through CD baby, iTunes and other formats, and retail outlets throughout South Africa. Distribution through Dyertribe music (DYCD006). Cover design by Lightform. Confluence, Steve Dyer's 6th album under his own name, is a soundscape of diverse influences to mirror how societies are evolving, and how different cultures, belief systems and peoples have increasingly greater interaction with each other. At the core is the sonic reflection of Steve's journey through his homeland South Africa, and the influences both personal and otherwise that shape this journey. Whatever the setting, Steve's intention remains the same: to give a contemporary African voice to improvised and structured music.